To play golf, to think golf, to create an experience. Shearer Golf Design offers the talents of 3 of the very best golfers that Australia has produced: Rodger Davis, Bruce Devlin and Bob Shearer who together combine their expertise and experience in all aspects of Golf Course Design, Construction and Site Master planning to create high quality, environmentally sensitive and challenging golf courses, resorts and residential developments worldwide. 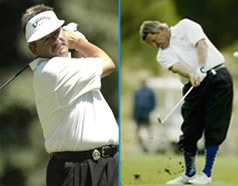 Rodger Davis and Bob Shearer together have a deep understanding and love of the game, this combined with their experiences of playing golf worldwide, places them in a unique position to service the Golf Design Industry. They have conveniently placed offices in England, US and Australia. A signature design by “Davis-Shearer” is synonymous with everything Australian, and will be a course full of their knowledge, creative flair and vision. 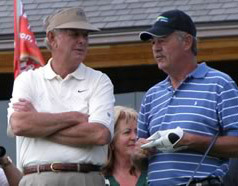 While playing together at the Australian Open in 2004 both Bruce Devlin and Bob Shearer entered into a collaboration to combine their talents to create world-class golf courses. A signature design by “Devlin-Shearer” is a course that fits into the natural environment, works with the land, is inspirational, challenging and enjoyable to play by all level of golfers.